Purpose: This training has been designed for MassDOT construction staff, environmental monitors, project designers, wetland scientists, design engineers and contractors to improve environmental stewardship on Highway Division projects through design, selection and implementation of stormwater Best Management Practices. Environmental stewardship is the responsibility of all whose actions affect the environment. This training program has been designed for small and large size projects and is not necessarily specific to large scale highway or bridge projects. The techniques, options and approaches towards sediment control and erosion prevention and general permit compliance can be universally applied to all projects, regardless of its size. Michael D. Howard, Principal, Epsilon Associates, Inc.
Ingeborg E. Hegemann, Principal, BSC Group, Inc.
See below the training schedule for more on these trainers. The registration page links below are for private sector contractors and the private sector consultant community. If you are a MassDOT or MassDEP employee seeking this training, contact David Goldstein at MassDOT to register. Class size is limited for each site and we'll close registration for a site as soon as it is full. Email confirmations will be sent to private sector attendees, so be sure to include the attendee's email when registering. Private sector fee is $75/person. Register for the session you plan to attend. Mr. Howard has more than 25 years of experience providing environmental consulting and permitting services for MassDOT and other public and private sector clients. Mike has conducted training programs for several organizations on the topics of erosion prevention and sediment control, regulatory compliance, wetlands mitigation design and environmental inspections. Mike has supervised and managed Environmental Monitoring work for several MassDEP Variance projects. Mike is a certified Professional Wetland Scientist and a Certified Wetland Scientist by the State of New Hampshire. Mike currently serves on the Board of Directors for the Massachusetts Association of Conservation Commissions (President) and previously served on the Board of Directors for the Association of Massachusetts Wetland Scientists (Immediate Past President). Ms. Hegemann has over 30 years of consulting experience in wetland and natural resources assessment and permitting. Ingeborg has served on Massachusetts Department of Environmental Protection (DEP) Advisory Committees and is an adjunct professor teaching graduate level Wetland Ecology at the University of Massachusetts/Lowell. Ingeborg was the designated Environmental Monitor for the Crosby Corner (Route 2) project in Lincoln and Concord and is currently the Environmental Monitor for the Route 18 Widening and Reconstruction project in Weymouth/ Abington. She was the project manager for MassDOT’s Erosion and Sediment Control Field Guide. She is a certified Professional Wetland Scientist and is on the Society of Wetland Scientists Professional Certification review committee. Dennis Lowry has over 40 years of experience as a consulting wetland ecologist in New England, including more than 20 years of working experience on MassDOT projects. Most recently, Dennis has been the designated Environmental Monitor/Wetland Scientist for the last four years for MassDOT’s I-95/Rt 128 Add-a-Lane construction project. Specific experience in the application of erosion and sediment control practices during construction of linear projects includes several large multi-years infrastructure (highways and utilities) projects in southern New England over the past decade, each of which required teams of Environmental Monitors of numerous disciplines. Collectively, these projects have extended along more than 100 miles of highway, pipeline, and transmission line corridors. 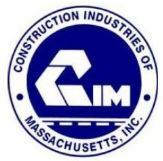 Mr. Mullally is a civil engineer with over 17 years of experience in civil engineering and construction, primarily in transportation and related fields for MassDOT, municipalities, and commercial clients. His experience includes highway surveying, construction and design, traffic analysis and design, and the construction of environmental remediation and protective structures. Mr. Mullally is familiar with a variety of engineering design computer software including AutoCAD Civil 3D, AutoTurn, PCSWMM, and HydroCAD. He has experience in the preparation of right-of-way plans and associated documents for state and federally funded projects. He has acted as a construction supervisor for railroad transportation companies, state agencies and local planning boards providing construction and traffic plan reviews and construction monitoring services.